This is a sentiment my colleagues and I at Moses Taylor Foundation subscribe to and are acting on. Since we awarded our first grants in September 2015, we’ve recognized the necessity to support growth within our community partners. By injecting grantmaking resources into fundraising, staffing, and communications, we are doing things a bit differently than some of our funding partners in our region, and we’ve already seen some great results. Why is support for communications necessary? Within the social sector, it can be difficult for some organizations to effectively communicate the primary goal of an initiative. Funders can provide support to overcome those communications challenges. For example, in December 2016, Moses Taylor Foundation awarded a grant for the Community Based Cancer Screening Navigation Program at Northeast Regional Cancer Institute (NRCI) in Scranton, PA. As our relationship with NRCI developed throughout the initial grant year, we recognized NRCI was facing the challenge of effectively communicating the public health benefit of cancer screenings. Other potential funders understood the program to be about “detecting cancer” rather than recognizing the value of the screening itself. If NRCI was not reporting a high number of cancer detections, did that mean the program was a failure? In response to this, we connected NRCI with an experienced communications team and provided some additional funding, which resulted in an NRCI brochure that conveys the value of the Patient Navigation Screening Program and effectively communicates how the facilitation of cancer screenings can save lives. Another illustration of the necessity for communications support was evident through a three-year grant with our community partners at the Greater Scranton and Wilkes-Barre Family YMCAs. We provided funding to establish and support the YMCA Diabetes Prevention Program. After one year of operating the program, the YMCA shared with us their struggle to educate and recruit potential participants. Through these discussions, we decided to amend the grant to provide additional resources addressed specifically towards marketing and communications. It was with this supplemental funding that the YMCA could create and air a commercial highlighting the Diabetes Prevention Program. An influx of new participants thereafter said the commercial was educational and directly resulted in their enrollment. Why is support for staffing needed? Moses Taylor Foundation staff and board made what we felt was an innovative investment in supporting a two-year project at Saint Joseph’s Center in Scranton to hire a staff development manager. The Center, like many organizations in the northeast Pennsylvania region, struggles with offering competitive wages and development opportunities for its professionals, who work with children and adults diagnosed with intellectual disabilities or developmental delays. This grant allowed the Center to create a new staff position responsible for developing and implementing a direct support professional/program assistant career path and mentoring program for its employees, which addresses ongoing training needs for developing skills and competencies necessary for professional growth. This newly established program has resulted in expanded staff engagement, communication, and innovation that helps the Center best serve the individuals it supports and cares for. The Center is forecasting a positive impact on the retention rate of its direct support professionals through year-over-year statistics. They’ve already observed an impact on staff morale, as the direct support professionals see the Center investing in their future, feel that they have more opportunity to be part of the dialogue and solutions, and feel more valued and respected in their roles. As we continue to review and monitor the project, we’re hoping the lessons learned can be used to replicate and implement similar projects at other organizations. We understand that the health and well-being of the people who serve our community is critical to the health and well-being of the community as a whole. So, in January 2017, we awarded a series of mini grants averaging $1,000 to projects ranging from ergonomic office equipment, to renovating space for an employee breakroom, to establishing a mother’s room for nursing mothers returning to work following maternity leave. These mini grants — a total investment of about $20,000 — have had tangible impact in our community partner organizations. Although these have been some of the smallest grants we’ve awarded, the excitement over these has rivaled what we’ve experienced with large grant awards! Why is support for fundraising needed? Many organizations do not have the liberty to invest in developing a fundraising plan or beginning an endowment campaign. It is often difficult to take a step back to consider the bigger picture when day-to-day operations often take priority over long-term strategies. Over the past three years, Moses Taylor Foundation has provided capacity-building grants for strategic planning and fundraising studies. Most recently, we provided support to the Boys & Girls Club of Northeastern Pennsylvania, which had received a large private donation after the passing of a dedicated volunteer and supporter and was seeking to leverage that donation to maximize its impact. The Club used our grant to hire a consultant to assist with developing a campaign plan, implementing a feasibility study, meeting with top donors to determine giving potential, and creating a series of activities to ensure the campaign’s success. The intended result of this campaign is a new arts, education, and prevention program with its own self-sustaining endowment. Another successful capacity-building project that the foundation has supported is the Scranton Area Community Foundation’s Center for Community Leadership and Nonprofit Excellence. We made grants to support a series of workshops intended to address the capacity-building needs of our nonprofit partner organizations in the community. Sessions have included “Evaluating the Impact of Your Programs” with the Nonprofit Center at LaSalle University, “Practices of High-Performing Boards” with BoardSource, “Utilization-Focused Evaluation” with Michael Quinn Patton, and “Talent Management and Human Resources for Nonprofit Managers” with Nonprofit HR. Due to the overwhelming success of this program, we are currently establishing a third year of training and development opportunities. The sizable attendance and enthusiasm has left us with the impression that our community has a true hunger for training and development opportunities. Over the past three years, we have worked diligently to cultivate strong relationships with our community partners and develop unique ways of supporting their capacity needs. 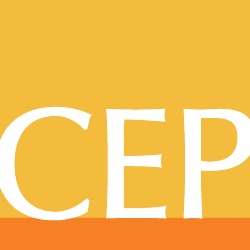 Our first CEP Grantee and Applicant Perception Report surveys, conducted in 2017, included positive assessment from our grantees regarding our approachability, openness to ideas, and capacity building support. We think we’re on the right track. Jeff Smith is program officer at Moses Taylor Foundation, which works to provide opportunities for people in Northeast Pennsylvania, especially the most vulnerable, to lead healthy lives.